Hudson's new Bomberman iteration looks like the perfect use for your Mii - blowing the big-headed little git to smithereens. 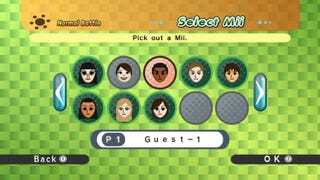 This gallery of shiny new Wii screenshots shows off the explodey antics we have come to expect from Bomberman games, but you can see just how well Miis fit in with the original characters. Still no release date for this WiiWare title, but we'll keep you posted.